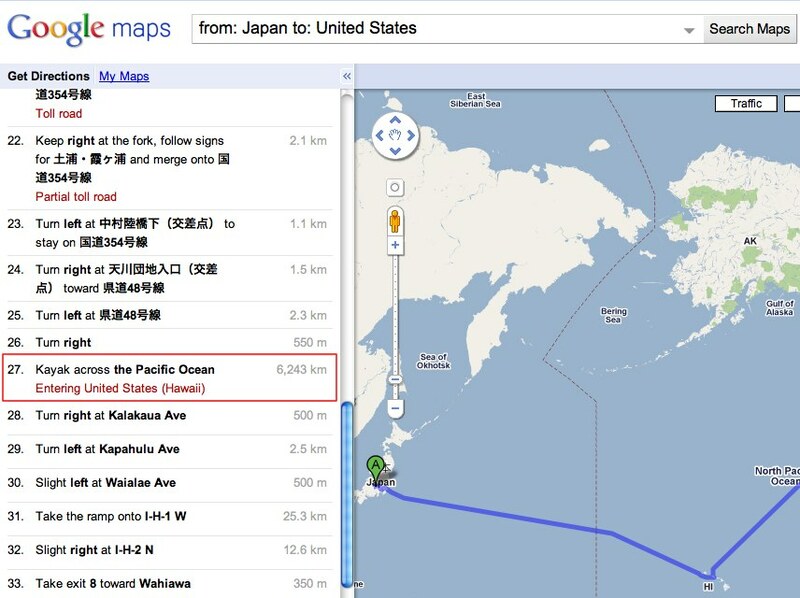 Unless you own a kayak don't try using Google Maps to get to the US from Japan. Unless you own a kayak don’t try using Google Maps to get to the US from Japan. It’s real. And there’s more.